The regular Planning Meeting held at Town Hall on June 14th was also a public hearing for plans to rezone a 5-acre lot of agricultural land off 700 South to industrial for use as outside storage. A representative of the land owner started out the meeting by informing the board that the proposal had changed, and he no longer sought to use the land for outside storage but planned to use it for personal storage and to park his three semi-trucks and trailers over the weekend, he no longer wanted to rezone the property either due to concerns from neighbors. The board insisted that a house must be built before an accessory building such as a pole barn could be built. Gary Shuck (Planning Board President) stated "the ordinances say house first, accessory structure later." Shuck said that in the past the board has allowed certain developments to go ahead with stipulations that were never met, and he didn't want the board to do that anymore. Clay Parkison (resident) stated that he thought when they bought the property with plans to build a house that they should do "what you agreed to. Build a house, then put your pole barn up." Lindsay Washmuth (Board Member / Council Member) said that "You might agree to build a house today, but circumstances beyond your control might prevent you from doing so later". After concluding that the owner would essentially be running a trucking business out of that lot the board asked that they rethink their plans and come back with plans to build a house. The board approved an in-ground pool for a resident on 7th St if better plans are submitted to Town Hall. The board agreed to allow Alice Bodenhorn to add an extension to her home with the caveat that the land the home sits on is re-plotted into a larger lot and the re-plot must be started within 30 days. The board suggested anyone that wishes to complain about the algae on the retention pond off 300 S contact the Madison County Drainage board. 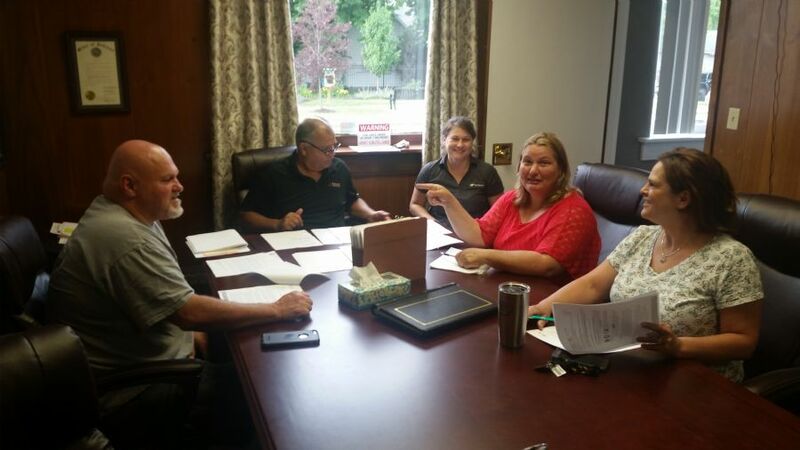 The board discussed setting up a schedule to have the new Building Inspector from RQAW come to do building inspections every Wednesday, with the option of the property/home owner paying a rush fee if they wanted the inspection done sooner than that.